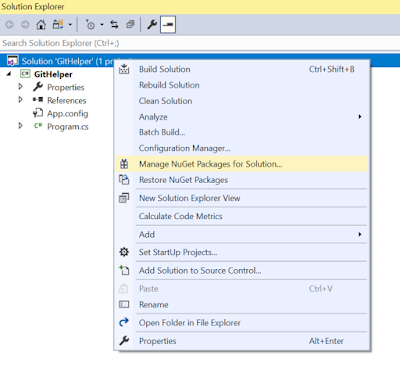 To add Swagger to Web API, we just need to install an open source project called Swashbuckle via NuGet. 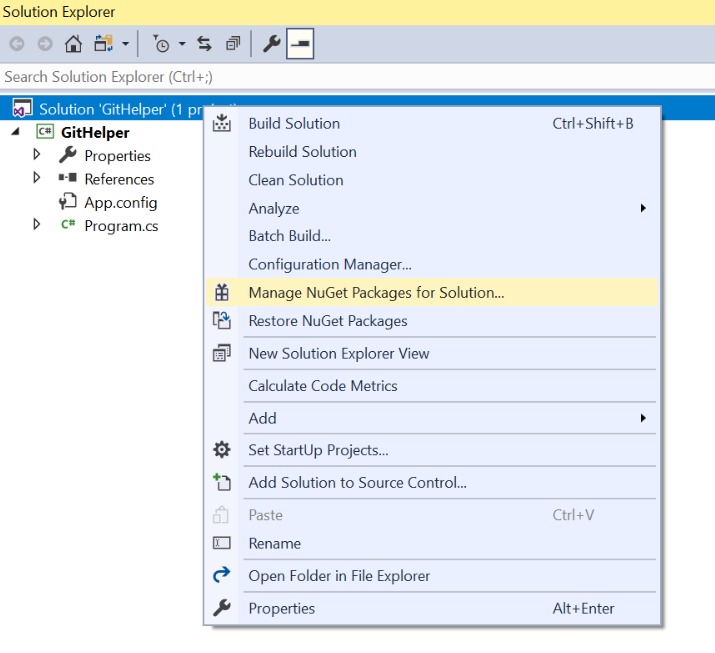 Install "LibGit2Sharp" NuGet package in the solution. Copy below method and pass parameters like filename,git repository name , username and password.